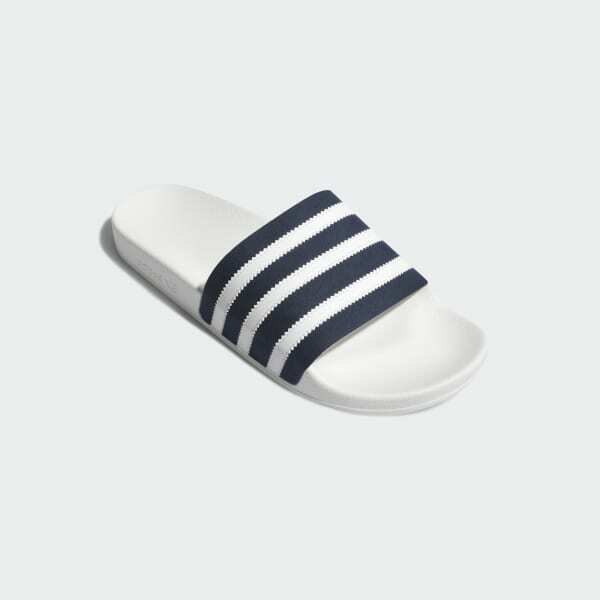 Simple slides with sporty 3-Stripes. First introduced in 1972 and still going strong, the Adilette is the sport slide that started it all. 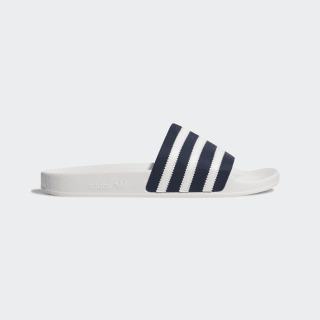 Inspired by the timeless look of the Campus sneaker, these sandals have a soft microsuede upper with serrated 3-Stripes. An off-white outsole adds a retro touch. Slip-on construction gives them an easy, lightweight feel.